NYC, 03/17/2019, 7:00PM. 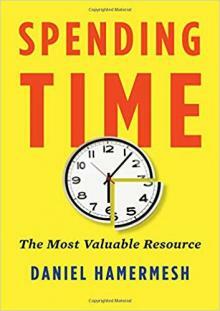 Spending Time: The Most Valuable Resource. Time is the ultimate scarce resource and thus a topic for economics, which studies scarcity. Since our time is limited by the number of hours in a day, days in a year, and years in our lives, we face constraints and thus choices that involve trade-offs. Spending Time provides engaging insights into how people use their time and what determines their decisions. Daniel S. Hamermesh explores people’s use of their time across countries, regions, cultures, class, and gender to create a comprehensive study of time.